From public relations to internal communications to marketing, branding, sponsorships and advertising, Marketing & Media provides award-winning communication solutions to clients from all university departments. At Marketing & Media, I collaborated with the Creative Services team to provide results-driven communication solutions in print and digital media. 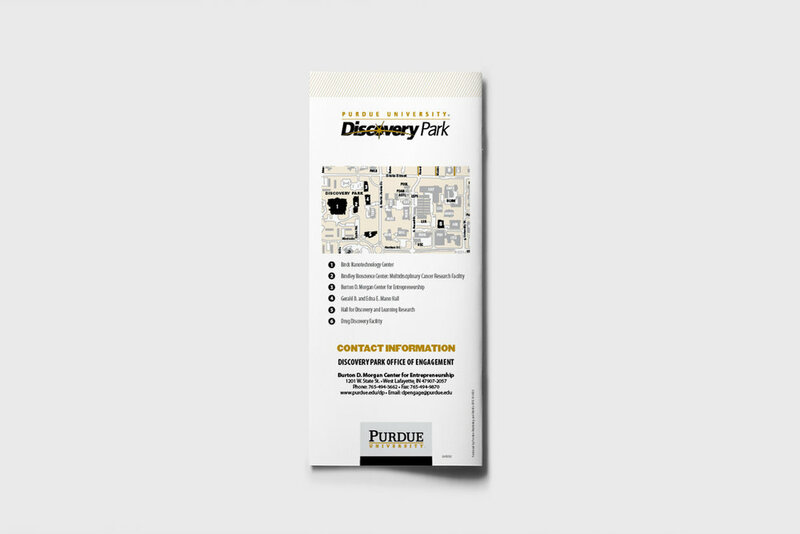 Some of the university clients that I worked with are the Office of the Dean of Students, Discovery Research Park, College of Technology, and Purdue Libraries. 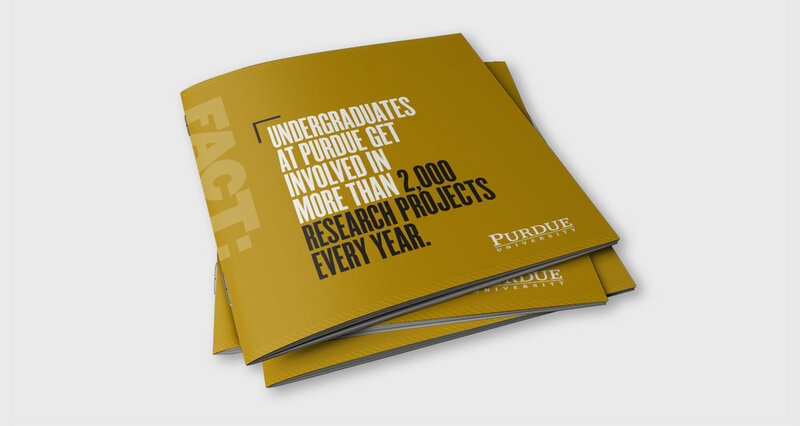 Purdue University Libraries wanted a print collateral to promote student engagement and awareness regarding the undergraduate research programs available at the university. We decided to create a mini-brochure that featured students in the program. By incorporating biographies and interests, each participant becomes more relatable to other students. I collaborated with members in the photography and writing teams to collect all information for the mini-brochure. A hub for collaborative research and innovation, Discovery Park consists of 6 large buildings across 40-acres of land. With so many facilities specializing in different types of complex interdisciplinary research, our clients needed a way to describe their mission and what amenities are available at each facility. Our team's approach was to show the exemplary qualities of Discovery Park. We created an informational booklet about the park and focused on describing each facility. I gathered visual assets and designed the cover pages, page layouts, and map. Purdue Business Services requested a poster that reflect their business approach, called Core Values and Leadership Behaviors. To simplify and illustrate the six points, I designed an infographic poster that simplified the six points using the university's primary colors, black and gold.